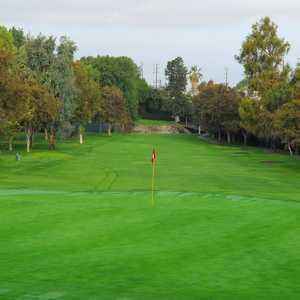 The 18-hole California Country Club in Whittier, CA is a private golf course that opened in 1956. Designed by William F. Bell, California Country Club measures 6804 yards from the longest tees and has a slope rating of 129 and a 72.6 USGA rating. The course features 4 sets of tees for different skill levels. 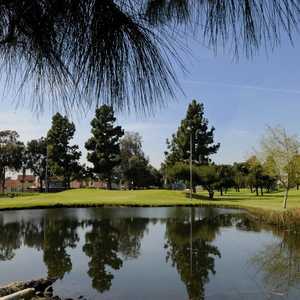 The 18-hole Candlewood Country Club in Whittier, CA is a private golf course that opened in 1953. Designed by Harry Rainville, Candlewood Country Club measures 6180 yards from the longest tees and has a slope rating of 135 and a 75. The 18-hole Friendly Hills Country Club in Whittier, CA is a private golf course that opened in 1967. Designed by Jimmy Hines, Friendly Hills Country Club measures 6409 yards from the longest tees and has a slope rating of 136 and a 71.